See and edit your employees' man-hours in a simple and easy-to-understand timesheet that can be exported to Excel. 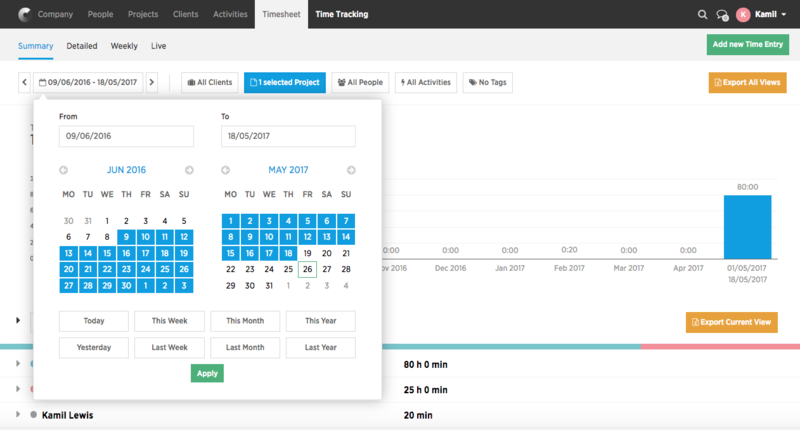 The project timesheet is a place where all the hours everyone has tracked on that project can be found. 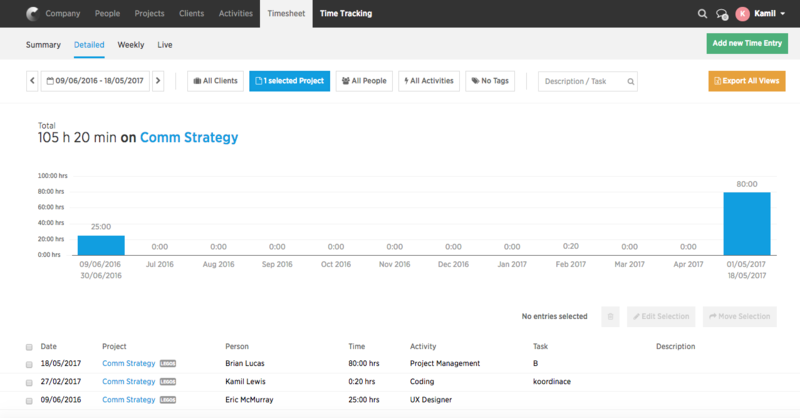 Click the Timesheet tab on any project page and you’ll get to the project timesheet, where you’ll see all the hours everyone has tracked so far. Costlocker will automatically display the period from when the project was created up to the current date. This way of displaying the timesheet is much faster than the one explained below. Click the Timesheet tab on the top bar and you’ll get to the timesheet of all projects. 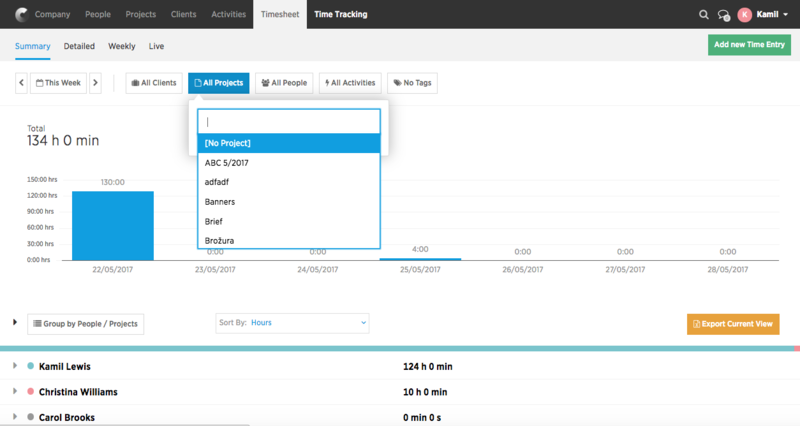 To see a particular project’s timesheet, use the filter which now shows All projects. At the same time, the time period needs to be changed as well, as the default display is set to show the current week only. To do that, click the filter reading This week, where you’ll enter the required from / to period for the timesheet you want to see. As can be easily seen, this way of displaying a project timesheet is a lot more tedious and requires you to know when the project started. Start by displaying a timesheet, then click the Detail tab to see the day-to-day breakdown of tracked time. The only thing left is to click the orange Export all views button and download an .xls file. It will include 3 different perspectives on tracked time.